De orkaan raast vlakbij Johnston eiland. Dit is een onbewoond eiland. Hierop was voorheen een marinebasis van de VS gevestigd. Walaka zal verder in kracht afnemen. 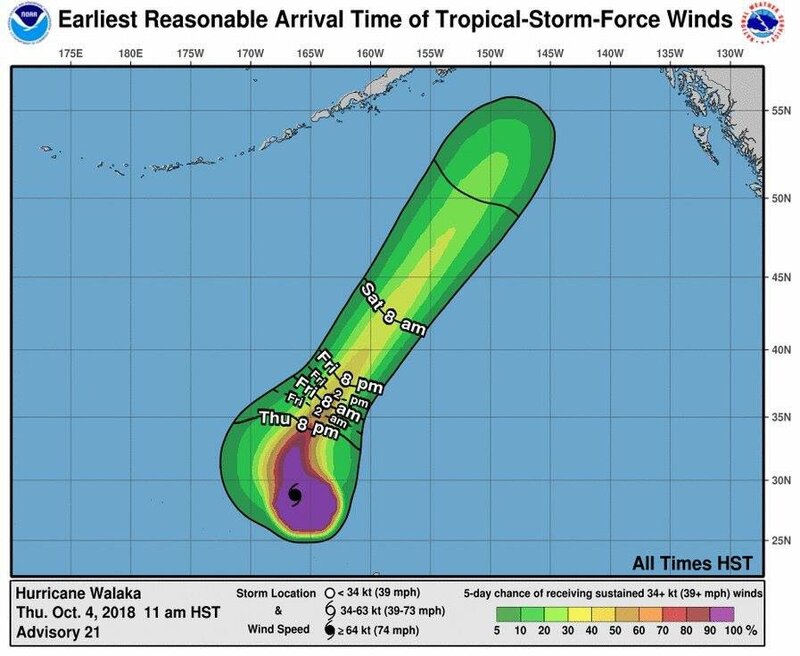 Walaka is now a category two hurricane. PAPAHANAUMOKUAKEA (HawaiiNewsNow) - Seven researchers have been evacuated from the Papahanaumokuakea Marine National Monument as Hurricane Walaka approaches. A research vessel picked up the researchers from the French Frigate Shoals. The atoll is in the path of Walaka, now a category two hurricane. Earlier this week, the Coast Guard also evacuated four Fish and Wildlife workers from the Johnston Atoll National Wildlife Refuge.